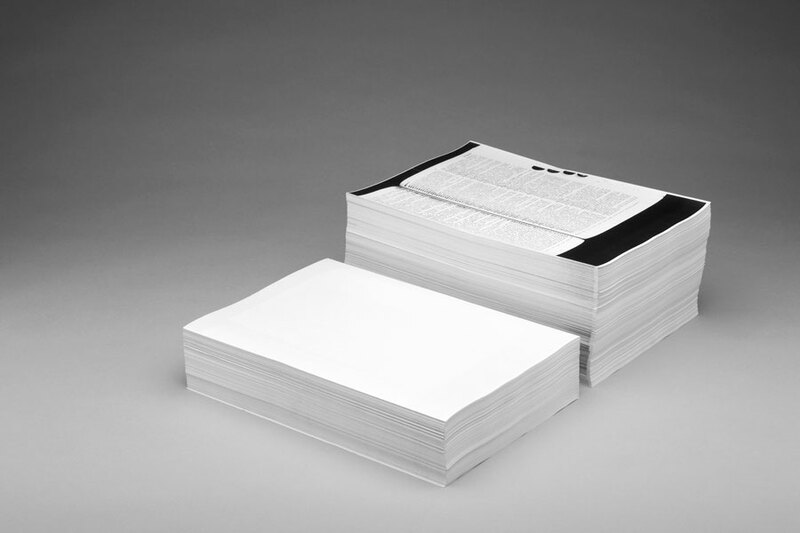 I photocopied every page of the Concise Oxford English Dictionary onto A4 sheets of paper to produce a stack of more than fifteen hundred pages. 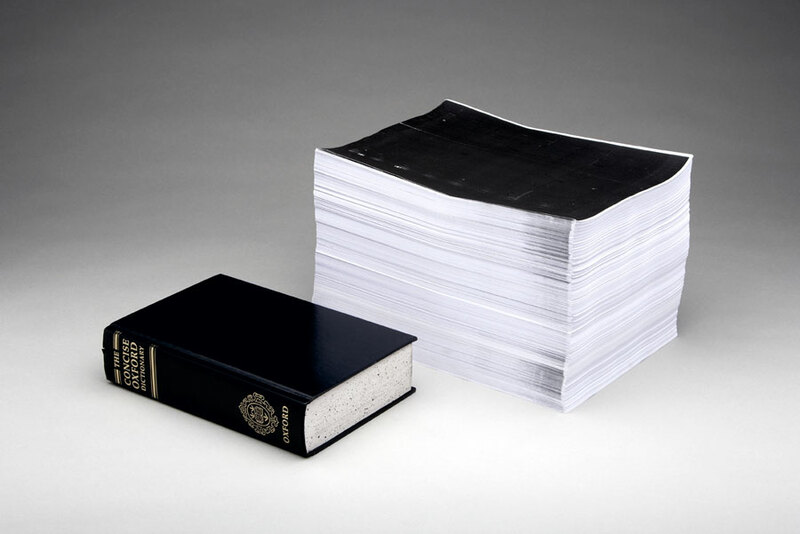 This project was inspired by the fact that books are often photocopied for reference. The dictionary is the archetypal reference book. Photocopying it resulted in a handmade duplicate that has more value than the original due to the time and expense invested in making it. The height of the stack makes the volume of information contained in a dictionary—normally disguised by the thin weight of its paper—more tangible and gives it more weight physically and conceptually.